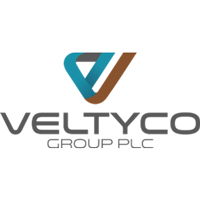 Stock in Veltyco Group PLC with company EPIC: LON:VLTY has stepped up 7.79% or 0.74 points throughout today’s trading session so far. Market buyers are a positive bunch throughout the trading session. The period high has peaked at 10.24 dipping to 9.5. The total volume traded so far comes to 88,000 while the daily average number of shares exchanged is 36,738. A 52 week share price high is 94 amounting to 84.5 points difference from the previous days close and the 52 week low at 5 which is a difference of 4.5 points. Veltyco Group PLC now has a 20 simple moving average of 9.74 and now its 50 day moving average now at 10.98. The market cap now stands at £7.68m at the time of this report. The currency for this stock is Great British pence.Market cap is measured in GBP. 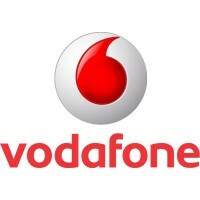 This article was written with the last trade for Veltyco Group PLC being recorded at Wednesday, January 30, 2019 at 8:27:15 AM GMT with the stock price trading at 10.24 GBX. Shares of GlaxoSmithKline plc company symbol: LON:GSK has stepped up 2.15% or 31.2 points throughout today’s trading session so far. Traders have stayed positive while the stock has been in play. The periods high figure was 1491.6 while the low for the session was 1463. Volume total for shares traded at this point reached 2,018,802 while the average shares exchanged is 9,053,489. The 52 week high is 1648.8 amounting to 196.6 points in difference to the previous days close of business and a 52 week low sitting at 1179.39 which is a difference of 272.81 points. GlaxoSmithKline plc now has a 20 SMA at 1507.54 and now its 50 day MA at 1522.54. This puts the market cap at £73,642.83m at the time of this report. The share price is in GBX. Mcap is measured in GBP. This article was written with the last trade for GlaxoSmithKline plc being recorded at Wednesday, January 30, 2019 at 12:04:46 PM GMT with the stock price trading at 1483.4 GBX. Shares of AstraZeneca plc company symbol: LON:AZN has increased 1.62% or 87 points during today’s session so far. Buyers are a positive bunch during this period. The periods high has already touched 5458 dropping as low as 5364. The total volume traded so far comes to 664,540 with the daily average number around 2,587,367. The 52 week high is 6432.48 equating to 1068.48 points different to the previous business close and a 52 week low sitting at 4544.5 making a difference of 819.5 points. AstraZeneca plc has a 20 SMA of 5738.95 and now its 50 day SMA of 5956.26. This puts the market capitalisation now at £69,066.32m at the time of this report. The currency for this stock is GBX. Market cap is measured in GBP. This article was written with the last trade for AstraZeneca plc being recorded at Wednesday, January 30, 2019 at 12:05:00 PM GMT with the stock price trading at 5451 GBX. Shares of Aviva plc ticker code: LON:AV has moved up 1.04% or 4.3 points during today’s session so far. Traders seem confident during the trading session. The period high was 417.9 meanwhile the session low reached 412.6. Volume total for shares traded at this point reached 1,576,404 whilst the daily average number of shares exchanged is just 11,068,352. A 52 week high for the stock is 554.6 amounting to 141.2 points different to the previous business close and a 52 week low sitting at 361.8 a difference of some 51.6 points. Aviva plc has a 20 SMA of 403.51 with a 50 day moving average of 397.71. Market capitalisation is now £16,304.00m at the time of this report. Share price is traded in GBX. Mcap is measured in GBP. This article was written with the last trade for Aviva plc being recorded at Wednesday, January 30, 2019 at 12:04:26 PM GMT with the stock price trading at 417.7 GBX. Stock in Burberry Group plc with ticker code: LON:BRBY has moved up 2.67% or 47 points during today’s session so far. Investors have stayed positive during the session. The period high was 1813 and hitting a low of 1756. Volume total for shares traded at this point reached 393,092 with the daily average traded share volume around 1,508,456. The 52 week high price for the shares is 2338 which is 580 points different to the previous business close and a 52 week low sitting at 1481.5 a difference of some 276.5 points. Burberry Group plc now has a 20 SMA at 1779.68 and now its 50 day simple moving average now of 1783.81. This puts the market cap at £7,425.50m at the time of this report. The stock is traded in GBX. Mcap is measured in GBP. This article was written with the last trade for Burberry Group plc being recorded at Wednesday, January 30, 2019 at 12:04:01 PM GMT with the stock price trading at 1805 GBX. The trading price for Compass Group plc found using EPIC: LON:CPG has moved up 1.1% or 17.69 points in today’s trading session so far. Market buyers are a positive bunch throughout the trading session. The high for the period has peaked at 1631.5 and a low of 1602.5. Volume total for shares traded at this point reached 495,760 with the daily average traded share volume around 3,472,861. The 52 week high is 1722 around 112.5 points different to the previous business close and a 52 week low sitting at 1396.5 a difference of some 213 points. Compass Group plc has a 20 SMA of 1644.58 and the 50 day SMA of 1666.78. Market capitalisation is now £25,807.91m at the time of this report. Share price is traded in GBX. Mcap is measured in GBP. This article was written with the last trade for Compass Group plc being recorded at Wednesday, January 30, 2019 at 12:04:26 PM GMT with the stock price trading at 1627.2 GBX. Click AV AZN BRBY CPG GSK VLTY for the full archive.